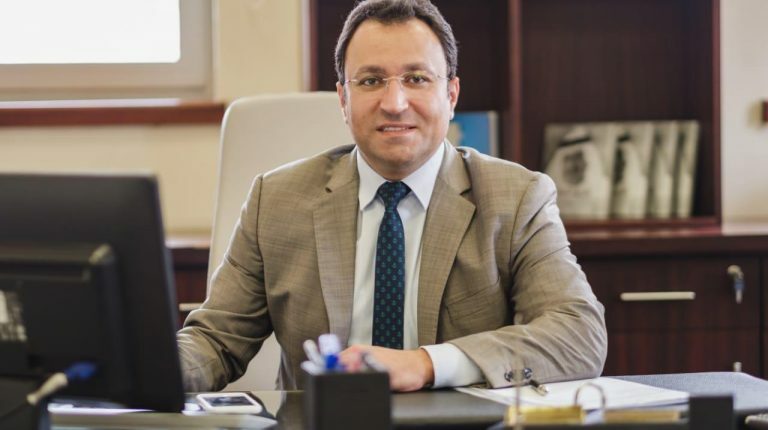 Daily News Egypt sat down with Egyptian Ambassador to Ethiopia Abou Bakr Hefny to discuss Ethiopian-Egyptian relations in light of the construction of the Renaissance Dam (GERD) and other aspects. Are the Ethiopian-Egyptian relations affected by the construction of the Renaissance Dam (GERD)? Egypt would not mind the Renaissance Dam, especially since Egypt is not against development in Ethiopia, as it reflects on Egypt. There is a group of technical experts from Ethiopia, Sudan, and Egypt discussing the operation of the dam and the mechanisms of water storage, so that it does not conflict with other countries. This group was formed following the signing of the declaration of principles of the Renaissance Dam in Sudan. Those principles governing the construction of the dam are equity and causing no harm to any parties, which are the main principles of any projects constructed in the downstream countries. When will the GERD Tripartite Committee meet? Meetings of the Tripartite Committee will be held in November to continue consultations between technical experts of the three countries. Are there local fears over completing the construction of the dam? We have a rational and wise government at the highest level that works for the benefit of citizens in that aspect, and follows the Renaissance Dam closely. World Bank studies predict that the Ethiopian market will grow in the upcoming period, and considers it Africa’s safest bet. It is in the best interest of Egypt to be surrounded by countries that enjoy relative stability, politically and economically. How do you view the Ethiopian market? Ethiopia has a promising market. Egyptian investors will not feel alienated, unlike other markets, due to the common historical ties between the two countries. The goal is to not just to consider Ethiopia as an export market, but to exploit trade agreements that Ethiopia has signed and invest through them. For instance, Ethiopian exports can access the US market without paying customs. Their trade agreements with the European Union enable them to export without any customs restrictions, provided that products are Ethiopian-made. Egyptian companies should use these agreements and invest in the Ethiopian market to benefit from their access to the US and Europe. When will Ethiopia apply the COMESA agreement? Ethiopia does not apply the COMESA. However, there is a preliminary approval from the Ethiopian Ministry of Finance to apply it gradually within five to 10 years. It is considered an open door for Egyptian investors. In addition, the trade mission has been doing great job in encourage pumping Egyptian investments into Ethiopia. Egyptian investors must invest today, not tomorrow. Are Egyptian investors increasing in Ethiopia? We can say so. Egyptian investors are now aware of Africa’s value. The political leadership supports this. During President Al-Sisi’s last visit to Ethiopia, he arrived accompanied by a delegation of businessmen and investors. Are there negotiations between Egyptian and Ethiopian representative to pump Egyptian investments? In which fields? Yes, there are negotiations between the Egyptian companies and the Ethiopian government in the fields of aluminium, construction, and infrastructure. Other fields are also seeing negotiations, as the Ethiopian government has imposed restrictions upon them. Which economic policy is the Ethiopian market heading towards? The Ethiopian market is gradually heading towards an open market and a free market system, instead of the communist economy, which ruled in the past. The state currently intervenes to protect private-sector companies and prevent their collapse. There are sectors of the economy run completely by the state. Private sector companies and foreign investors are not allowed to invest in them, such as the banking sector, insurance, and cement industry. However, the Ethiopian market is dynamic and is likely to change in the upcoming period. Do Egyptian visits to Ethiopia contribute to the consolidation of bilateral relations? Official and mutual visits between Egypt and Ethiopia contribute to the consolidation of political and economic relations between the two countries. The Egyptian government also provides 104 scientific research grants to African students. Egypt chairs all 12 specialised committees at the African Union. Did Egypt sign a memorandum of understanding (MoU) with Ethiopia? There are six MoUs in the field of information technology that have been completed and approved; they include the establishment of a panorama of the Ethiopian history in cooperation with the Egyptian Ministry of Communications. In the medical field, there is an agreement with the Social Affairs Administration at the African Union to provide 30 grants and a treatment programme in the Galaa military hospital for Ethiopian and African physicians to perform spine surgeries on children this year. The areas of cooperation between the Egyptian and Ethiopian sides are open, especially in the areas of irrigation, electricity, media, and culture. There is no doubt that Ethiopia, the Nile Basin countries and East African countries are a priority for Egypt. What are the latest developments in the navigational waterway project between Egypt and Ethiopia? The navigational waterway project between Lake Victoria and the Mediterranean aims to facilitate the movement of trade between Egypt and southern African countries. This project comes from the presidential infrastructure initiative of the New Partnership for Africa’s Development (NEPAD). The initiative aims to deal with the various problems of the continent and to find appropriate solutions to eradicate poverty and achieve a better life for the African citizen. The Egyptian Ministry of Irrigation, headed by Hossam Moghazi, is supervising this project in collaboration with the African Union and other organisations. The investment value of the waterway has not been established yet. What are the important projects that the Egyptian and Ethiopian governments are working on to improve the transport network? Among the important projects we are working on is a land route which is being implemented through the Arab Contractors group, linking Addis Ababa and Nairobi. A total of 100 km have already been established, and the road is scheduled to be inaugurated next month. It is considered the first project by the Arab Contractors in Ethiopia, and it is funded by the World Bank. How do you view the Egyptian participation in the fifth round of the Ethiopia International Expo? The Egyptian participation is really good; there is an increase in the number of Egyptian companies this year compared to earlier editions. Egyptian companies participating in the exhibition increased to 70 companies in this round, compared to 55 companies in the last round. An Egyptian telecommunications company started negotiating with the Ethiopian side to pump new investments in Ethiopia. And regarding the problem of bank deposits in the Ethiopian market, the provision of currency is a persisting problem for most developing countries, but it is not a restriction for investment, as we see that Turkish, French and Chinese companies still continue to enter the Ethiopian market.